Can We Be Different Like Everyone Else? 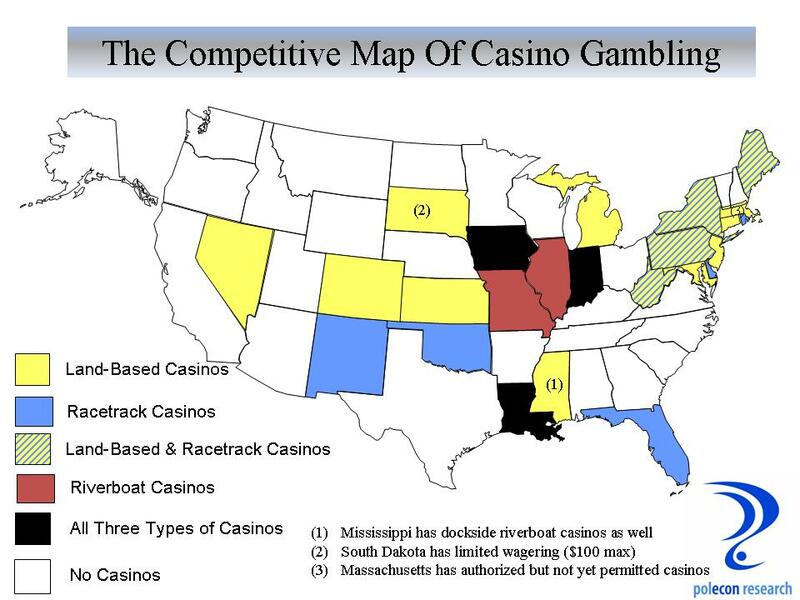 I was surprised to see the number of states that have allowed casino gambling. In a prior post I focused on what I thought were the states that are perhaps most identified with casino gambling (Nevada, New Jersey, and Connecticut). 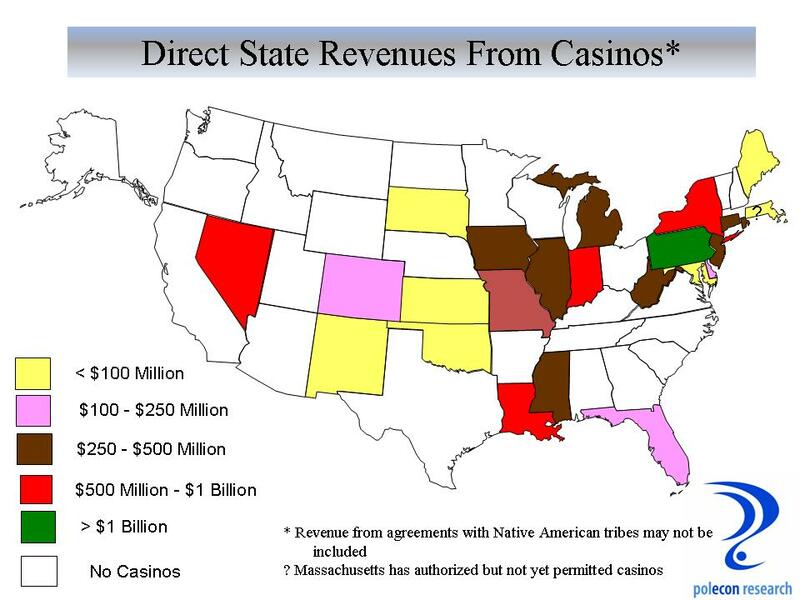 Twenty three (23) states and five since 2005 (if you count Massachusetts) now allow some type of casino gambling. As the map below shows, the Northeast region of the country is the king of casinos. I don’t know what that says about the Northeast but Vermont and New Hampshire are now the only states in the region that do not have some form of casino gambling. (a note about the data in the charts below: I have taken reasonable steps in the limited time I allocate to this blog to provide accurate information – if anything appears inaccurate please let me know). Note: Map is Updated thanks Curtis! I think whether or not to become more like other states in the region is an important and ongoing debate in New Hampshire, whether it be about our revenue structure, which stands out in the region, or our political, legislative, and regulatory structures which to a lesser degree do as well. I’ve long argued that the state was able to buck the region’s unfavorable demographic and economic trends because it was somewhat unique in the region. Some who disagree with me on that argue that the state should, in the case of casino gambling, refuse to become more like the rest of the Northeast region. While others who agree with me on the benefits of NH’s uniqueness are arguing that NH should have casino gambling because other states in the region are doing it. Consistency isn’t what it used to be or perhaps I just confuse consistency with rigidity. It is also possible that I am misreading the whole consistency and change aspect of the debate. Could it be that gambling is consistent with NH’s fiscal traditions but inconsistent with its uniqueness in the region? I don’t expect there will be a lot of testimony on that at any public hearings on casino proposals. For those more interested in the pedestrian issue of how much state revenue we can expect, below is a chart that shows how much states currently take in from casinos (in very broad categories). Interesting to see that Pennsylvania is now the champion in terms of state revenues from casinos. That state is, in large part, responsible for the decline in revenues in New Jersey. Things are definitely changing in NH and the upcoming debates over whether or not to allow casino gambling will, I think, tell us a lot about the direction of that change. This entry was posted on January 4, 2013 at 11:16 am and is filed under casinos, Fiscal Policy, Gambling, Tax Revenue. You can subscribe via RSS 2.0 feed to this post's comments.